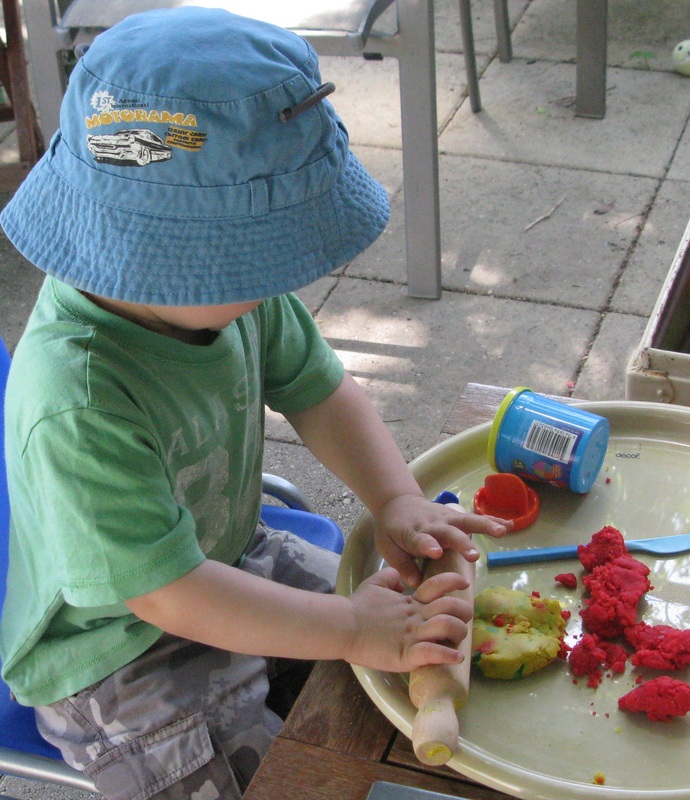 Playing, rolling and shaping with dough is great for helping to develop fine muscle control and is a fun activity for young children. The downside is that if it gets walked into carpet it is very hard to remove. 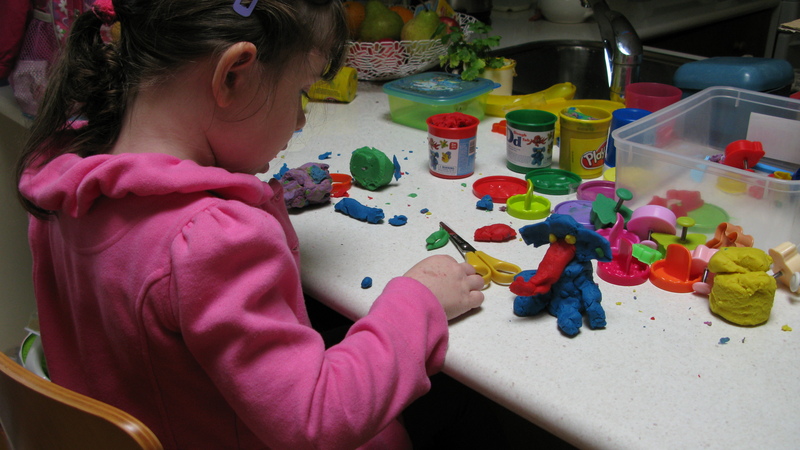 One way of avoiding this problem is to use the playdoh as an outside activity, however, I have also found that using a large plastic tray as a work area helps. The rim on the tray helps confine those sneaky little bits that become separated from the mass and the smooth plastic surface makes it easy to gather the bits together at the end of a play session. It takes a lot of practice before a young child becomes proficient at using a pair of scissors. I have found that a good way to practise is by snipping a long roll of play dough into little pieces. The dough is easy to cut and reassemble into a long sausage to be cut again and again.